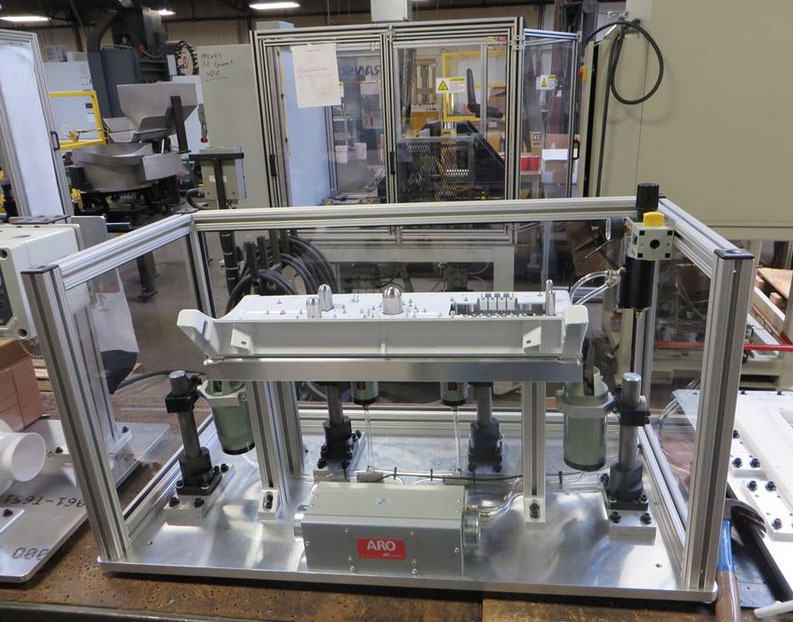 About Us - Craig Machinery & Design, Inc.
We have the experience to handle your automation needs from small fixtures to large multi-head rotary indexing table systems with sound boxes and part handling systems. Specialties include ultrasonic welding, leak testing, general assembly, fluid fill and clam shell machinery. We can design and build your system from start to finish in-house. We use Solid Works 3D and MasterCam for machine and tooling design with approval prints always available. We also specialize in electrical controls, including designing the control wiring/panel layout using AutoCAD, as well as the programming of the PLC’s and touch screens. We have programmed many different types of PLC’s and touch screens including Allen-Bradley, Automation Direct, GE, Mitsubishi, Omron, Siemens, and many more. We also have the capability to program servos and robots including Fanuc, IAI, Parker, Tolomatic, Denso and many others. We have MIG and TIG welding capabilities, machine painting, CNC Machining and complete panel building capabilities at Craig Machinery & Design Inc. that enable us to control quality and timing of your complete project. Project updates using Microsoft Project are available. Please check out our website to find out more about what we build and how we can serve you. 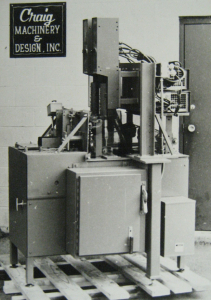 Also, review the Machine Data Sheets to see some brochures on machines we have and can build. 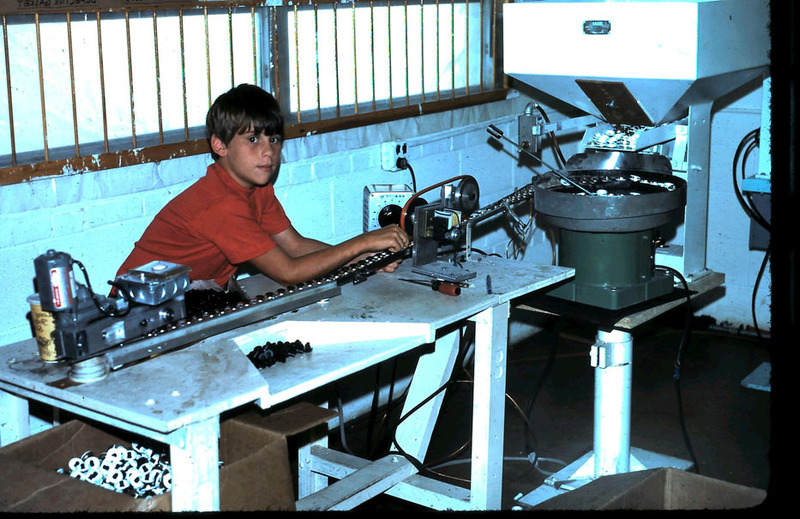 Craig Machinery & Design’s roots extend back to 1975 with a hobby machine shop in a two car garage in Villa Park, Illinois. 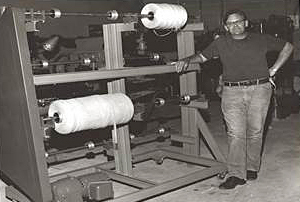 The company was officially founded by Ken Rabeneck in Louisville, Kentucky, in 1977. 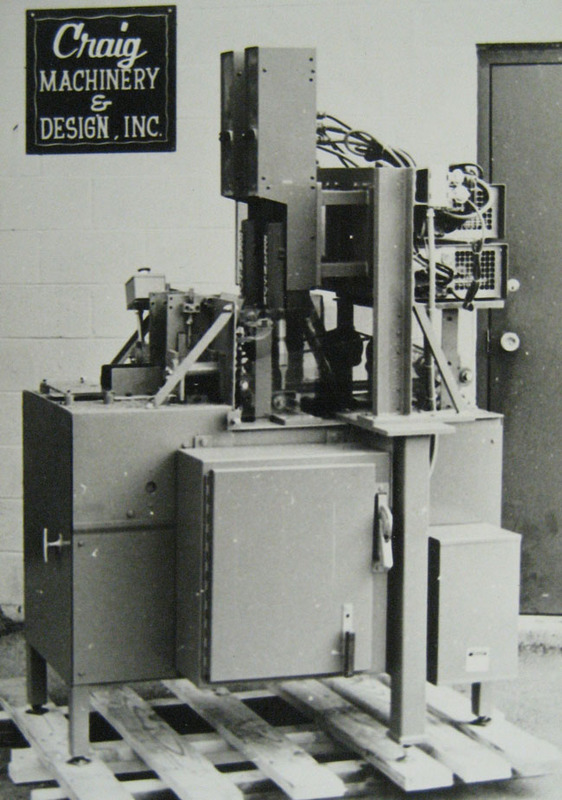 Ken’s education and work history included tooling and machine design. He previously worked for Branson Ultrasonics for 10 years in sales, service and applications. 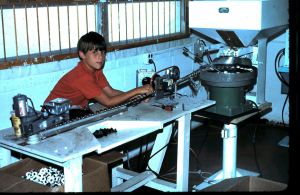 Ken’s son, Craig, helped in the family business as a youth. He officially started working full time at Craig Machinery after finishing his Masters in Engineering degree at the University of Louisville in 1989.